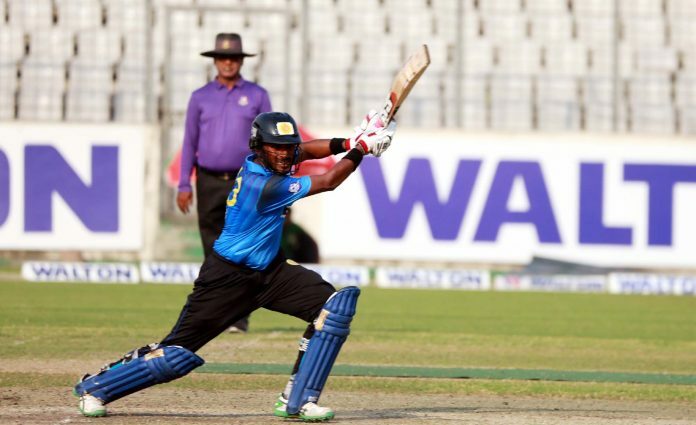 Abahani Limited have maintained their dominance in the top of points table of Walton Dhaka Premier Division League 2018-19 with a thumping 29 runs victory over Gazi Group Cricketers in round 7. Lt. Sk. 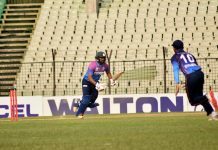 Jamal Dhanmondi Club Ltd. and Legends of Rupganj have won the other two matches of the day. Result : Legends of Rupganj won by 72 runs. Khelaghar Samaj Kallyan Samity vs vs Lt. Sk. Jamal Dhanmondi Club Ltd. Result : Lt. Sk. Jamal Dhanmondi Club Ltd. won by 5 wickets. Result : Abahani Limited won by 29 runs.